Weddings aren’t without their challenges and hassles, but on the whole they are mystical days – each one completely unique and special. A wedding photographer needs to capture all of the painstaking hard work and efforts that couples put into making their wedding an astounding experience for their guests. It takes real skill and experience to make couples and guests present in the wedding feel comfortable in front of the camera and that’s a challenge, a photographer has to overcome in every new wedding. A true wedding photography is the one where the photographer is well versed with his work and has professional experience in this line of work, he who knows that carrying a camera and snapping pictures of the happy couple isn’t enough. Nor is it as glamorous as it may seem, there is lot to the wedding photography, nothing can be left alone from soup to nut. FOOD AND DRINK PLAY AN INDISPENSABLE PART IN THE WHOLE OF THE BIG DAY!! Food preparation start even a day before the wedding and you can have multiple chances to capture them cooking and decorating those food items so finely and delicately. All the delicacies are prepared with lot of efforts and ensuring that the taste should not vary of the same dish, cooks put really hard work in that. Couples do lot of work in even to get the best of the best cooks for their wedding to give their guest unique and amazing taste. Detail shots at weddings, makes the overall album of the wedding rather more meaningful. Detailed photo shoot helps you to tell the perfect story of the whole day, rather than making your album look like a standalone product shot for the couple or the decor. Just try out shooting guests admiring and sharing food, suppliers carefully creating and serving all the food items, a group of kids enjoying the dessert at the party, bride’s enjoying the pastry at the corner of the hall without being disrupted,– all of these things you can spot easily as a professional photographer your eye should be every nook and corner of the venue but there are sundry of such occasions which will definitely be missed by the couple as they are busy in other stuffs. 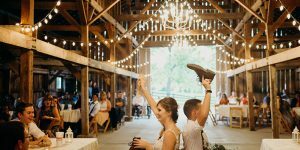 It’s the job of the photographer to help the couple remember these missed moments, their favorite moments and fall in love with so many such events of the day they couldn’t even see! Capturing the food photography is a very important area of wedding photography. The wedding food is equally important part of the big day. Couple along with family members and close people spend days in finalizing the whole set of menu, what all will be served and how all the dishes will be served. There are motley of ways, photographers have captured these bands through the years. The food photography add to the overall wedding scenes and is a nice way to break up the wider shots of the guests and the location. If you don’t believe, take a look around the dining hall the next time you attend a wedding. Through Wedding Food Photography, the Photographer gets lot more scenes to show how celebration of this great day is marked with food and feasting across the world. He endeavors to capture graceful and beautifully composed images that tell whole lot about the story of the subject as it unfolds, without adjourning it. 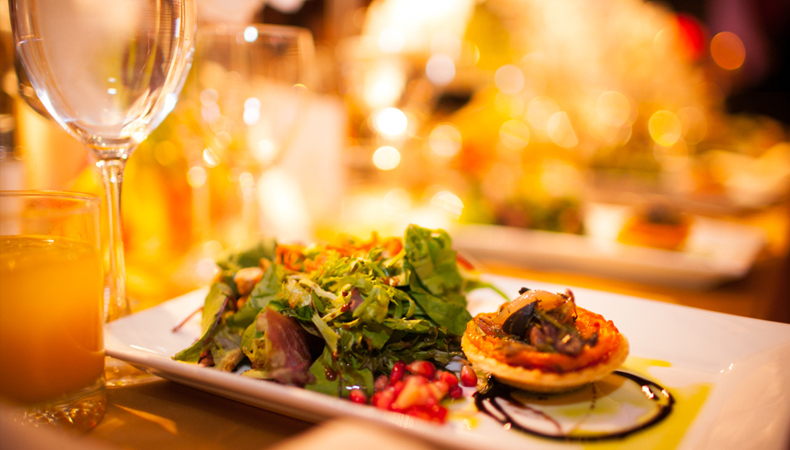 Here are top 9 reasons why capturing food photography is important in a wedding photographer. Weddings are truly one of the most special moments in a couple’s life, once in a lifetime event. Every wedding is full of emotion, happiness, tears, decor, food, flowers, and what not, there is too much to a wedding all in all. How can a photographer skip to click the most important of the wedding ‘The Food,’ how can he miss the happy faces while having their favorite food in the wedding, kids having their favorite dessert in the wedding, these are not just shots but the moments to be captured from the great event for the life. People come together to celebrate the occasion from far-away places to bless the couple and enjoy the mean as a family. Being surrounded by varieties of dishes and food items, all that happiness and cheerfulness appears in guest’s faces to see all those mouth-watering food talks it all. What to say – weddings are great deals for foodie people, when they eat what they love. How can a photographer miss the opportunity to capture the groom’s sister who just want to have that tempting pizza? There is always something special in the menu in every other wedding a photographer captures. He gets to capture not only romance, laughter, joy, anticipation, excitement, but also the eating, treating, talking while eating and enjoying while having the sumptuous meal served at the wedding. As a wedding photographer, the photographer has to really work through many different styles of photography from candid shots to family portraits, decor to environmental details, floral to food. When a wedding photographer captures the food in the wedding he is not just focusing on the food items listed there but food is something which is directly connected to one’s emotions. The photographer has to see all the dynamics of photography while capturing the food and people eating. Sometimes candid shots are easy to get from the food photography, as when people at wedding gather to have their meal, they just don’t have their plates in hand and eat, in fact they are indulged in some conversation, you can always capture the candid moment immediately. A lot happens at the dining hall and often at the same time, too good to have a nice candid album for the couple. Also, upon clicking varieties of shots, photographer’s multi-tasking skills vastly improves as there are lot of options to capture and showcase your work finally. There is so much more to Food photography than simply clicking the shutter. A lot of things need to be aligned in terms of lighting, composition and subject matter. These are particularly important when you are taking wedding food photos. You have to consider lighting strategy for the wedding food photography too, whether the food arrangement is indoor or outdoor that also matters to your overall food photography skills. Sometimes the indoor dining halls with terrible lighting can cause a huge disruption in your work if you don’t use multiple off camera flashes very quickly. Taking split-second decisions also become important, gradually you learn problem solving skills with so much more confidence. Weddings are consist of multiple stories built in throughout the day, and Food is one of the most important stories. As you photograph a wedding food, you will learn that multiple stories are being played out right in front of you in form of beautiful colors, textures, decorations, smell and taste, food in wedding is complete in itself, an array of dishes with beautiful color combination makes it a perfect story altogether. Wedding food not only temp people to have it but also tempt the photographer to capture it instantly. Guests with the food in their hand, their faces and reactions when people eat that food, their expressions etc. 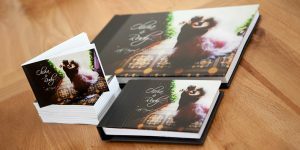 You just need to click them most candidly to get a perfect complete wedding album. 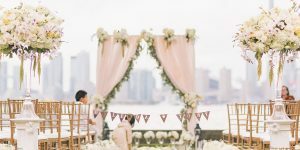 Just ensure you capture all these moments in the wedding, which will help you understand the art of visual narration and how to add depth to your photos in a better way. Wedding Food photography can be a great way to explore and nurture your creativity. You get to explore more in the area and get various ideas to do something different and outside the box, which will get your work noticed. With wedding food photography you can allow yourself to be more creative and showcase your artistry. Every wedding has different set of dishes like their decor and everything differ their food differ too. Photographer has a lot of prerogative to try the same photo in a different light and technique. This sort of creativity will help you grow as a photographer as an artist. This sort of creative freedom of expression is really great for your growth as an artist. As a wedding photographer you have so much to explore and learn on daily basis. A wedding photographer is one of the most important person at a wedding. There are many people who really look to the photographer who not only capture the couple at the wedding but also have the experience in capturing the other dynamics of photography too other than a wedding. This can help a photographer to have other photography projects other than a wedding photography. Today competition is at every level, and to survive that is the greatest skill which a photographer can possess. If you learn to develop skill over the period you can have a diverse photography portfolio. To get a steady stream of clients in the industry is very tough task, in such a situation if you are well versed with other photography tricks also, you can survive in the market for long. The good thing with wedding food photography is that if you do a good job with the food photography, you are likely to get assignments other than wedding photography as well. And further they can refer you to others. Every wedding has different cultures and traditions including their food habits and dishes. In a country like India where there are huge number of region and religion, their food and the taste also varies. The food talk a lot about their traditions, food represent a lot about them and the colors, the spices, the aroma which comes from the food is mesmerizing worth capturing in the wedding to give a beautiful finishing touch to the wedding album. Different places have different food culture, and the beauty of their culture can be very well portrayed in the pictures. If it’s a luxury destination wedding the food will be exceptionally unique, different and tasty. Couple amidst all the processions of their wedding will not forget to talk about the food even years later. Fancy food items when rowed on the table look so sumptuous that people get eager to get them, mostly people attend the wedding to become the part of the biggest feast, they talk about the taste even after the event is over. Couple send many hours preparing and finalizing the menu item list for their wedding day. People attend weddings with full enthusiasm, get ready, and look happy and beautiful inside out. Wedding photography is a mixture of many other photographic genres. It incorporates portraits, family and group photography, documentary, ceremonies, event, close-up, candid images and food photography. Wedding food photography is truly an amazing experience one can have involves lot of creativity which your client will surely admire upon getting the final album in hand. The satisfaction which you will get on giving the best work to your client will be beyond any money. Wedding food photography is probably one of the most creative areas for a photographer. You will not get any food item to delete from your overall shoot as it looks so beautifully tempting that one finds it difficult to resist the urge to do so. Wedding food photography gives you multiple avenue to explore if you are a freelance wedding photographer. Can help you have immense knowledge of the area for widening and diversifying your overall portfolio. Shooting food at the wedding gives you these skills which are required to even shoot a cook book or range of food items for a renowned restaurant. You will get to learn a lot about food styling and choosing the right props while shoot wedding food photography. You get to focus on the bigger picture, your journey as a photographer is no easy and no simple, a lot to know and learn from. Food doesn’t have very long life for that matter, it perishes soon after it is cooked or even if it raw it doesn’t stay fresh for long. Sometime the skin gets wrinkled, scarred or damaged in such a situation change it with the fresh one – or capture it from an angle which is easy to hide the bad side of the food item. Sometimes in hurry photographers are tend to miss these simple techniques and end up getting not so good food pictures, which doesn’t add to the other dynamics. It is always good to keep this in mind and avoiding such mistakes as often photographing close up of food items the tiniest of flaws show up. Ensure checking them over closely. Back-light plays an important role when it is about food photography whether wedding or normal form of photography to make it look more appetizing. With proper back-light lit you would be able to show up the steam and smoke vividly. Try out and see how much more appetizing the mushrooms and olives look in that thin crust pizza with different angle of light. This one will look more appealing to everyone. There must be too many things all around the table, you need to take out whatever you don’t need. Take out everything from the table that distract you and play hindrance in between you and the best shot. Cooked food has too many variations and angles to display, may be the decoration, the color combination, may be the sizzle you can show just any one portion of the cooked food to make it look more attractive in the picture. Sometimes capturing the cooking part help you show better than the finally cooked dish. The procedure, the steps when clicked look more beautiful and candid. You can always start capturing wedding food photography step wise staring from preparation of cooking process like chopping, boiling, or while the dish is going through various stage of cooking like tempering etc. A smoky hot steam coming out of it, you will surely get a beautiful candid shot, keep clicking until the finished cooked food item is served on the table. This is a great way to have good food photographs to select finally. To make raw vegetables and fruits glisten in the picture make sure your just brush them with a bit of olive oil to give them a perfect look for your photograph, it will make them look fresher and beautifully tempting. Food items are never mundane and monotonous in fact food itself is served in beautiful cutlery that can be used as prop in clicking few simple shots with these so called props like plates, vine glasses, bowls, etc. and raw ingredients make great extra props. You will find amazingly creative ideas to get these props in best use for your wedding food photography. After all he is the one who is putting all his efforts to give his best to the guests to have them and amazing meal at the wedding. Adding a human element like a hand stirring the dish or someone holding a beautiful plate allows you to show scale, pictures with human element looks more appealing and realistic to viewers, viewers are able to relate with them easily. For obvious reasons off course, make sure that you keep your cutlery, plates, bowls, or any item which you are using as prop for your picture is clean and tidy, not having some crack or not cleaned properly as it will show up in your shot which will be embarrassing for a photographer who calls him professional, these simple hacks either add a lot or spoils the whole picture at the end. To get the impeccable shots get your props cleaned before you capture wedding food. You can be very creative as much as you want and you envision while capturing a wedding food photograph, you can try different angles of view while shooting your food items from tilted to direct, shooting into the edge of the plate or the center of the table, and so on. Be creative and know that in wedding food photography you are all free to showcase your creativity vividly to add to the final album. Last but not the least, to have a great command over wedding food photography just keep clicking food pictures whenever you happen to eat outside be it a street food you are feeding yourself with or a sumptuous dinner in a five star hotel, it will keep you improving even when you are simply dining or having fun with your friends.